4. Two word: Miles. Morales. Okay. Short version: Marvel publishes an alternate-universe series of comics called "Ultimate Marvel" where all the heroes have the word "Ultimate" in front of their names and things are supposed to be less complicated except now it's been going on long enough that things are just as complicated but mostly dull. Most of it is just awful, and always has been. 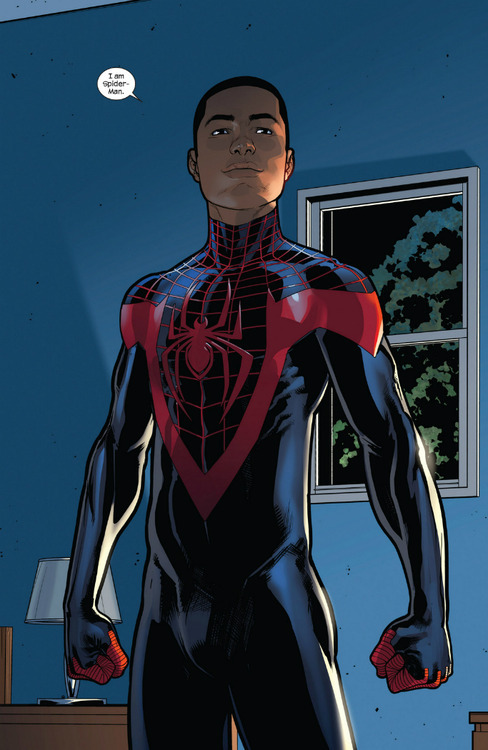 But Ultimate Spider-Man was usually pretty good, and eventually got around to actually doing something genuinely novel and interesting with it's ongoing story: Ultimate Peter Parker died (for real), and was the Spider-Man mantle was taken up by a young black/latino teenager named Miles Morales. Miles Morales is awesome. You get where I'm going with this, Sony. Andrew Garfield is eager to jump out of this series. Nobody expects you to be delivering a "classic" Spider-Man at this point, so why not go all the way and do something really different and also really positive? There's very little downside here. Suddenly, your movies series - widely seen as disposable even as blockbuster also-rans go - now gets to be the center of a big national conversation... where you get to be the good guys bringing a positive black role-model to the big screen. Yes, the "Spider-Man is black now??" will also bring out the jerks, haters and sad fanboy rage-monsters... but publicity is publicity. Also, because I know that for some reason you and the other studios involved really are this childish about this stuff... you would be putting Marvel/Disney in a REALLY rough spot. Think about it: Eventually, they'll get Spider-Man back, one way or another. They made him, you're just renting him, basic math. But when they do, they'll be stuck with Sophie's Choice: Bring back Peter Parker to better mesh with the MCU's fidelity-to-material sensibilities to the disappointment of a generation of Miles Morales fans? Keep Miles and deal with endless wailing from fanboys about never getting to see the "real" Spider-Man meet The Avengers?